BALTIMORE, April 15, 2019 /PRNewswire/ -- Paragon Bioservices, the leading biologics contract development and manufacturing organization (CDMO) with proven expertise in gene therapy and next-generation vaccines, announced today that it will be exploring the formation of a wide-ranging partnership in gene therapy manufacturing with Sarepta Therapeutics, Inc., the leading precision genetic medicine innovator for rare diseases. The two gene therapy leaders will seek to establish additional dedicated facilities for manufacturing Sarepta's gene therapy candidates. 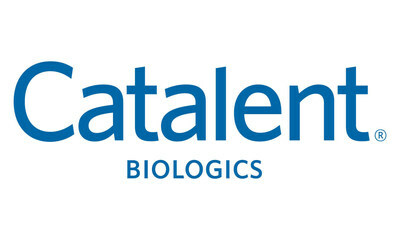 Earlier today, Catalent Pharma Solutions, Inc., the leading global diversified provider of advanced delivery technologies and development solutions for drugs, biologics and consumer health products, announced its agreement to acquire Paragon. With the future support of Catalent and the opening of its new, state-of-the-art commercial manufacturing center near the Baltimore-Washington International Airport, Paragon is positioned to substantially advance life-saving gene therapy products including Sarepta's Duchenne muscular dystrophy (DMD) gene therapy candidate. The new large-scale production campus – now combined with a recently leased second building which will be built out for commercial GMP manufacturing – has the potential for more than 425,000 square feet of manufacturing space upon completion of construction. The facility will offer individualized manufacturing suites specially designed to handle the unique needs of gene therapy products. "With the recent grand opening of our new manufacturing facility, the expansion of our relationship with Sarepta, and the anticipated transaction with Catalent, Paragon is positioned to be the premier leader in gene therapy manufacturing," said President and CEO Pete Buzy. "Paragon's level of expertise and experience in this area is unparalleled. That together with our high caliber partners and customers will allow us to meet the manufacturing demands of the double-digit growth in the gene therapy market." Douglas S. Ingram, Sarepta's President and CEO, said, "We are excited to begin work on this new venture with Paragon and ultimately Catalent. Sarepta has had a long and fruitful relationship with both Paragon and Catalent, one of Sarepta's current PMO drug manufacturers, and we are particularly pleased to expand our relationship with both companies. Catalent is a well-resourced innovator with an outstanding reputation for operational excellence, product quality, and reliable supply. By making our expertise available to Paragon and Catalent, we can ensure the success of our own manufacturing programs and explore potentially new and enhanced techniques to drive innovation in gene therapy manufacturing." "The unmatched expertise of both Paragon and Sarepta in developing and overseeing the manufacture of potentially transformative gene therapy technologies will be a tremendous asset to Catalent," said John Chiminski, Catalent's Chair & Chief Executive Officer. "We are delighted to have this opportunity to work together with Sarepta in this high-growth and life-saving field of medicine." Catalent Biologics provides advanced technologies and integrated solutions for biologic and biosimilar development and manufacturing, from DNA to fill/finish and commercial supply, through its extensive Biologics network including: Bloomington, Indiana, where the company recently announced a twentieth commercial launch of a fill/finish product, and Madison, Wisconsin, home of Catalent's Biologics' proprietary GPEx® technology for stable, high-yielding mammalian cell lines with eleven approved molecules. For more information on Catalent Biologics, visit www.catalent.com/biologics. This press release contains both historical and forward-looking statements. All statements other than statements of historical fact are, or may be deemed to be, forward-looking statements within the meaning of Section 27A of the Securities Act of 1933, as amended, and Section 21E of the Securities Exchange Act of 1934, as amended. These forward-looking statements generally can be identified by the use of statements that include phrases such as "believe," "expect," "anticipate", "intend", "estimate", "plan", "project", "foresee", "likely", "may", "will", "would" or other words or phrases with similar meanings, and include the statements regarding a planned future partnership and the benefits it will bring. Similarly, statements that describe our objectives, plans or goals are, or may be, forward-looking statements. These statements are based on current expectations of future events. If underlying assumptions prove inaccurate or unknown risks or uncertainties materialize, actual results could vary materially from our expectations and projections. Some of the factors that could cause actual results to differ include, but are not limited to, the following: any delay or failure to conclude the desired partnership or realize its anticipated benefits; changes to our respective businesses, our industry, or the overall economic climate that limit our ability to obtain the desired results, general industry conditions and competition; product or other liability risk inherent in the design, development, manufacture and marketing of gene therapy offerings; inability to enhance our existing or introduce new technology or services in a timely manner; economic conditions, such as interest rate and currency exchange rate fluctuations; and technological advances and patents attained by competitors. For a more detailed discussion of these and other factors, see the information under the caption "Risk Factors" in the Annual Report on Form 10-K for the fiscal year ended June 30, 2018 filed by Catalent, Inc. with the Securities and Exchange Commission. All forward-looking statements in this press release speak only as of the date of this press release, and we do not undertake to update any forward-looking statement as a result of new information or future events or developments unless and to the extent required by law.